Occasionally you might find that you have laid out data in a spreadsheet in a different manner than you actually need it. 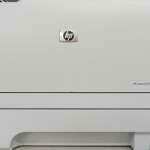 This can be frustrating, and the prospect of essentially redoing the exact same task again might not be appealing. 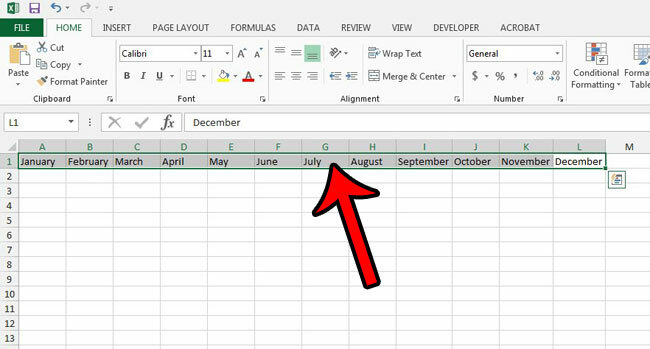 Fortunately you can convert a row into a column in Excel 2013 by taking advantage of a feature called Transpose. 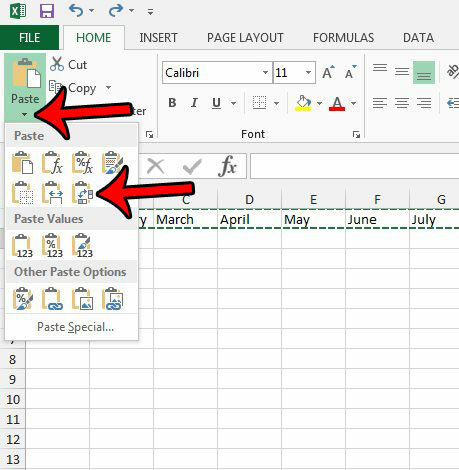 Transposing data in an Excel spreadsheet allows you to copy a series of data that is currently in a row, then paste that same data into a column instead. 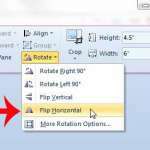 This can be immensely helpful when a spreadsheet has been laid out incorrectly, and it can help to minimize potential mistakes that can occur when you need to re-enter large sequences of information. 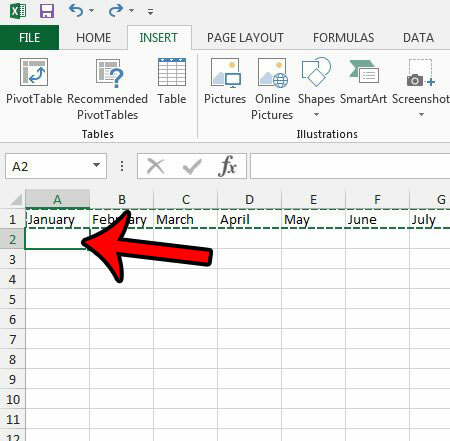 In the tutorial below we will be converting data from a row to a column. Note that the new location of the data cannot overlap the original location of the data. If this presents a problem, then you can always use the first cell under your target destination row, then delete the original row. 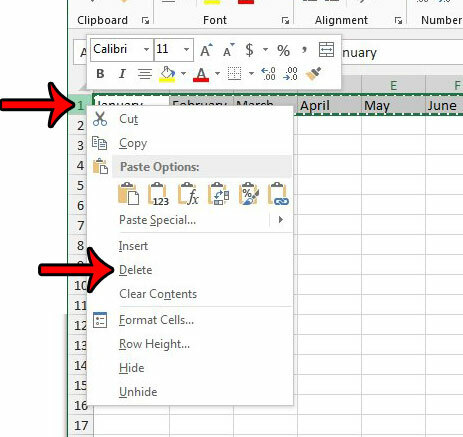 Click here to learn how to delete a row in Excel 2013. Step 2: Highlight the data that you wish to transpose to a column. 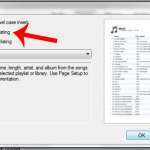 Step 3: Right-click the selected data, then click either the Copy option. Note that you can also copy data by pressing Ctrl + C on your keyboard. Step 4: Click inside the cell where you would like to display the first cell in the new column. Step 5: Click the Home tab at the top of the window. Step 6: Click the arrow under the Paste button at the left side of the ribbon, then click the Transpose button. 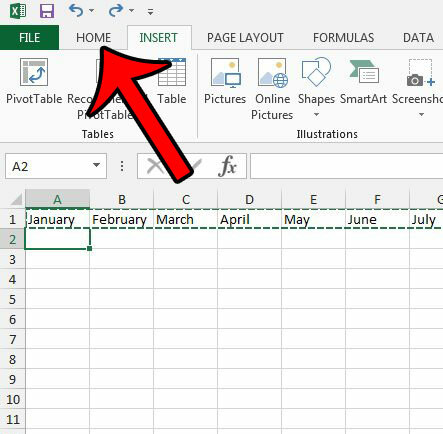 You can now delete the original row by right-clicking the row number at the left side of the spreadsheet, then clicking the Delete option. 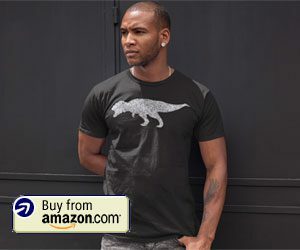 Is there a worksheet in an Excel file that you would like to use in a different Excel file? 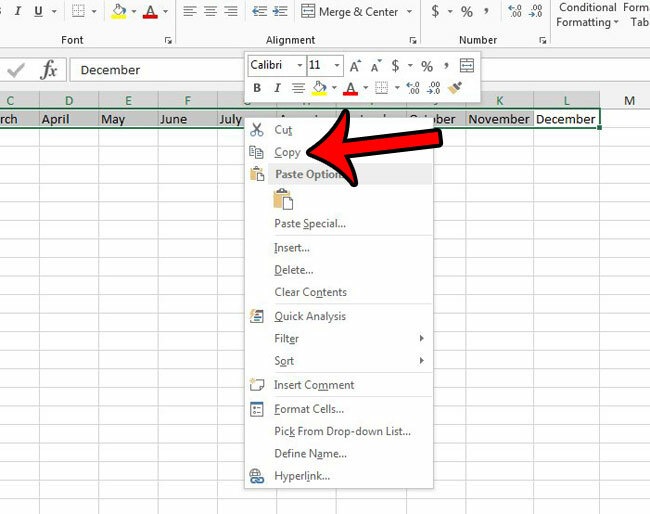 Learn about copying entire worksheets in Excel 2013 and make it easier to reuse your most helpful spreadsheets.